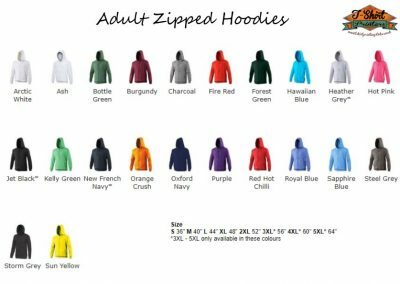 When it comes to School Leavers Hoodies we’ve got you covered, we have a great selection of hoodies across an array of adult and children’s sizes and with full in house printing and embroidery capabilities we can produce these to your exact requirements. 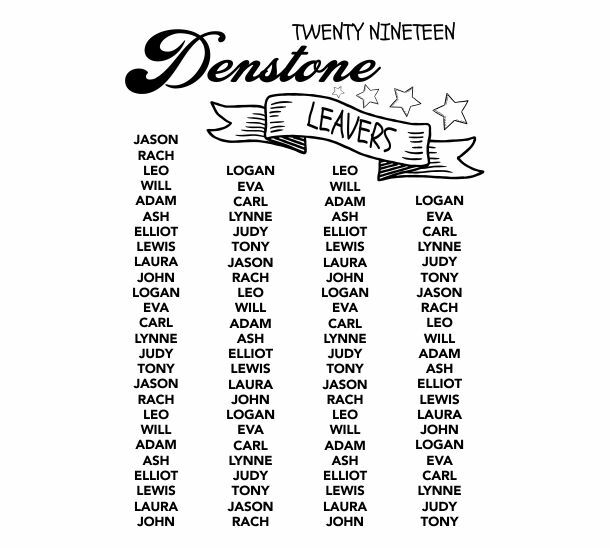 We have our standard leavers designs for you to select from or you can use your own design or any variation of our designs. 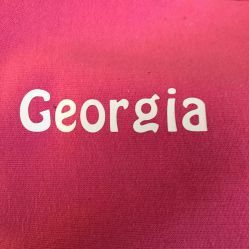 All leavers hoodies can be printed front and back, in any colour your require, and these can be further personalised with individual names or nicknames. 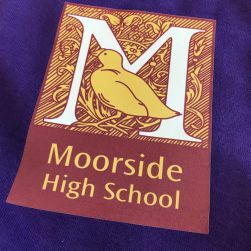 Additionally we can embroider your school logo or badge onto the front chest area or this can be used for additional printed or embroidered personalisation. 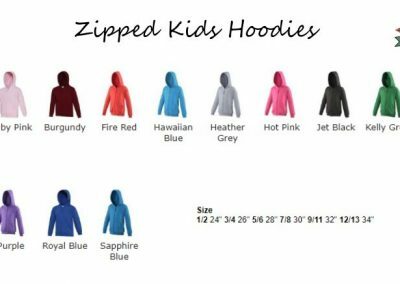 We believe you should have your leavers hoodies exactly as you want them, so why not give us a call or contact us to discuss your own specific requirements. 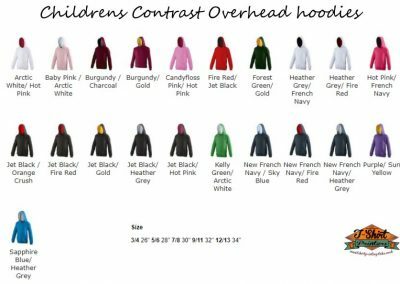 Our standard go to hoodie avaible in Adult and Childrens sizes* great colour selection and a fantastic no nonsense overhead hoodie. 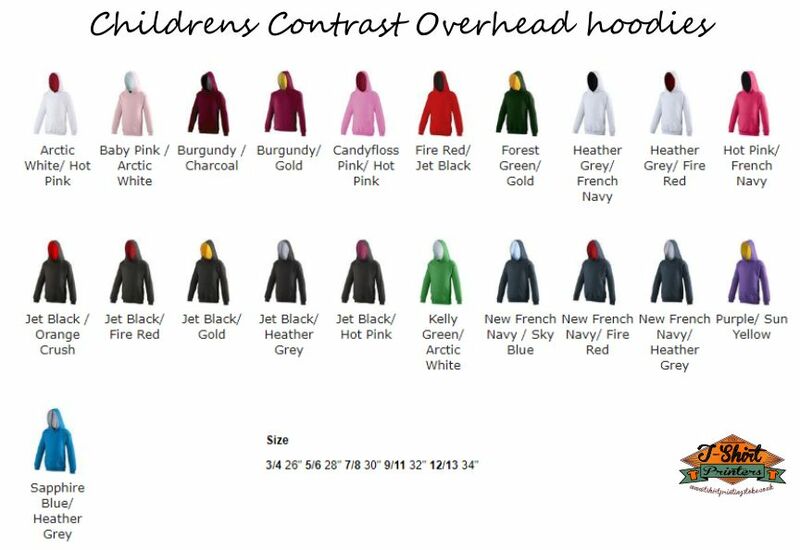 A zipped version of our classic hoodie available in childrens* and adult sizes right up to 5XL. 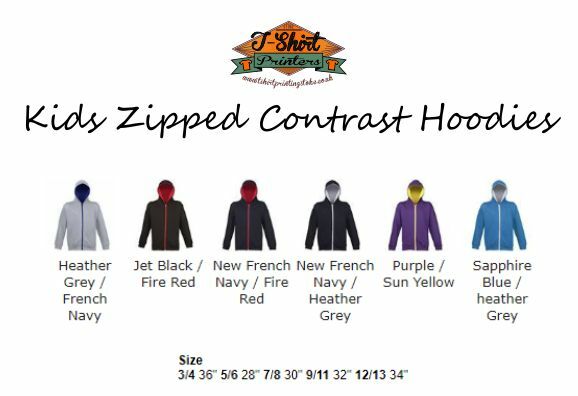 The 2 tone contrast hoodies are an extremely popular hoodies. 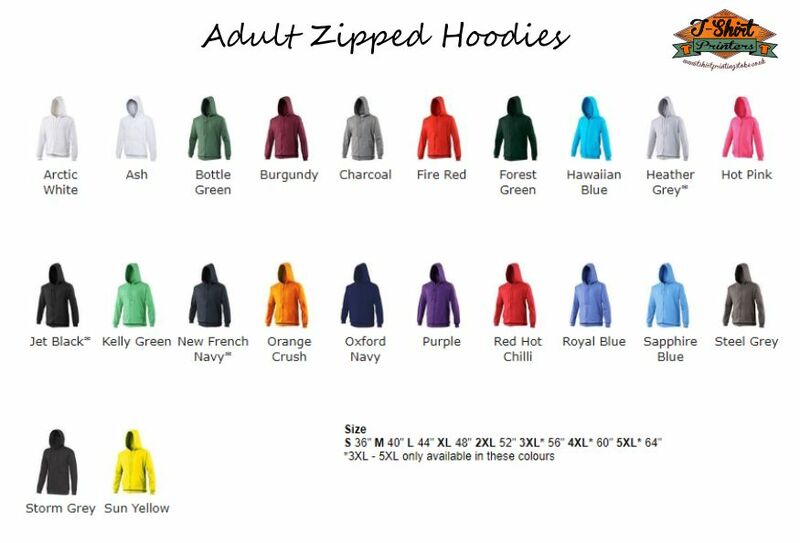 Available in a massive range of colours all the hoodies feature contrasting hood and neck cords. 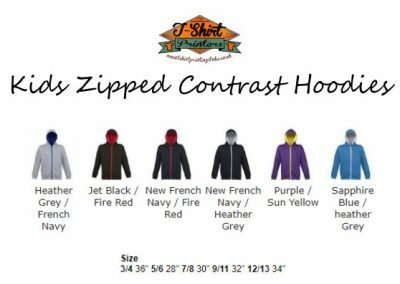 Zipped version of our 2 tone contrast hoodies. 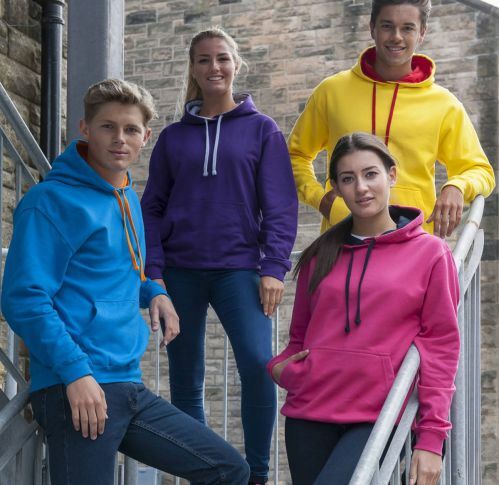 Available in a great range of colours all the hoodies feature contrasting hood and neck cords. 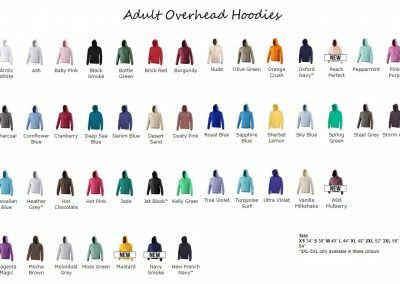 Choose from one of our standard leaver hoodie designs below or let us know if you have a custom design. 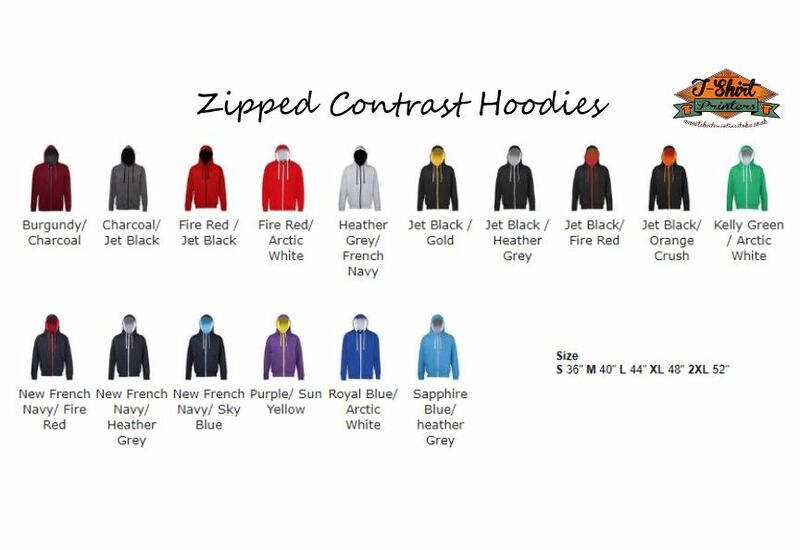 The print is shown here in black however these can be any colour to work best on your chosen hoody colour. 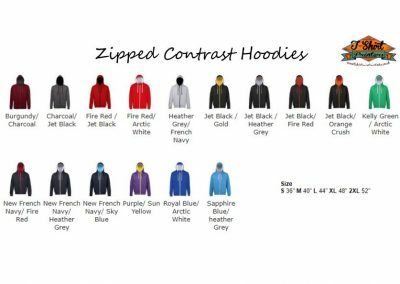 We recommend a 1 colour design for the back of your hoodies as this is the most cost effective we able to print more colours but this will incur additional costs. The classic back print, with individual names contained within the leaving year numbers. The numbers can incorporate any first name, surname or nickname or a mixture of all. 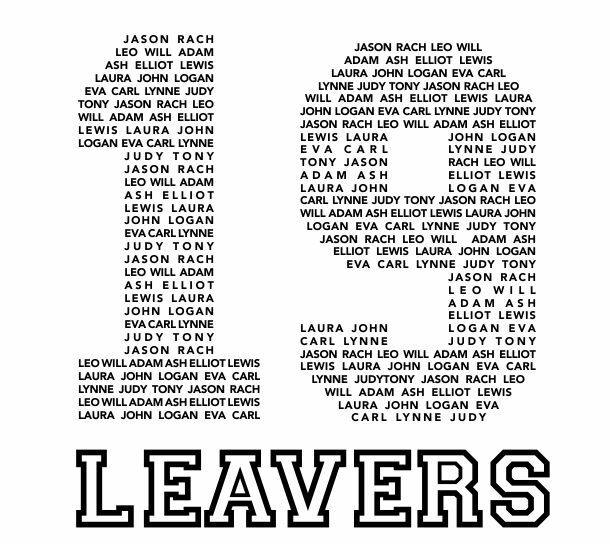 A popular leavers hoodies design where the names form the shape of the leaving year. The names can be any combination of first name, surname and nickname. A very classy leavers hoodie back design featuring the school name and then the names as a list, this design is better suited to first names only. 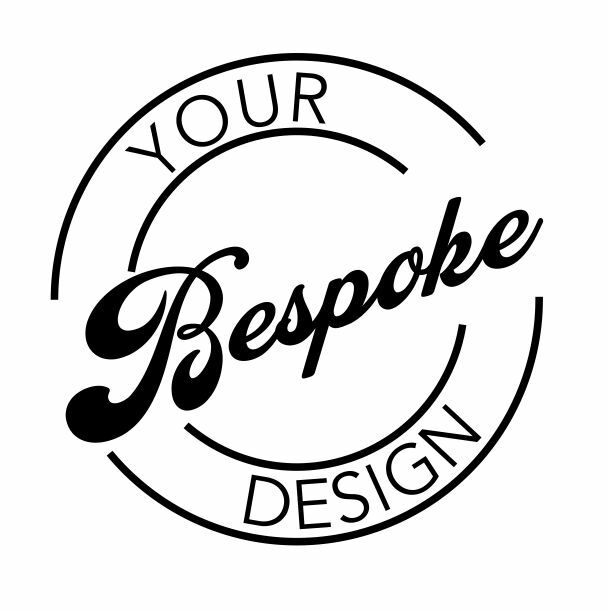 Your own design, we recommend using 1 colour although more than one colour is possible but hsi will increase the costs. 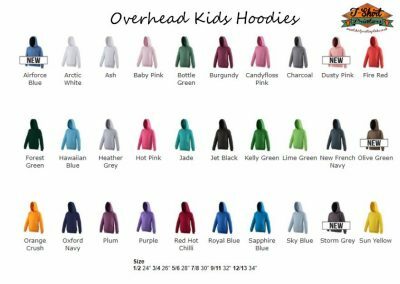 All our leavers hoodies can be purchased with no decoration on the front or these can be further personalised with either a front print or embroidered logo or name. We can embroider any school badge, logo or crest onto your hoodies. We use the industries finest commercial embroidery machine which gives stunning results. 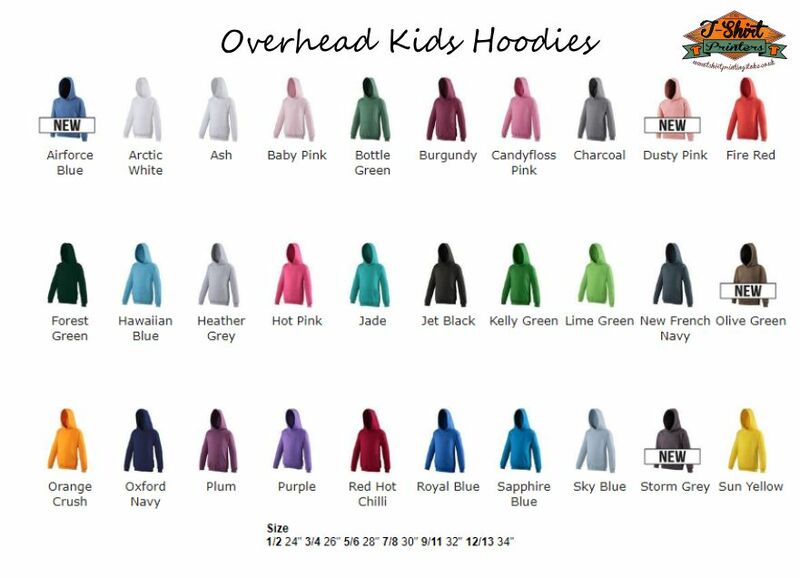 We can print any school logo or crest on to the chest of your hoodies. 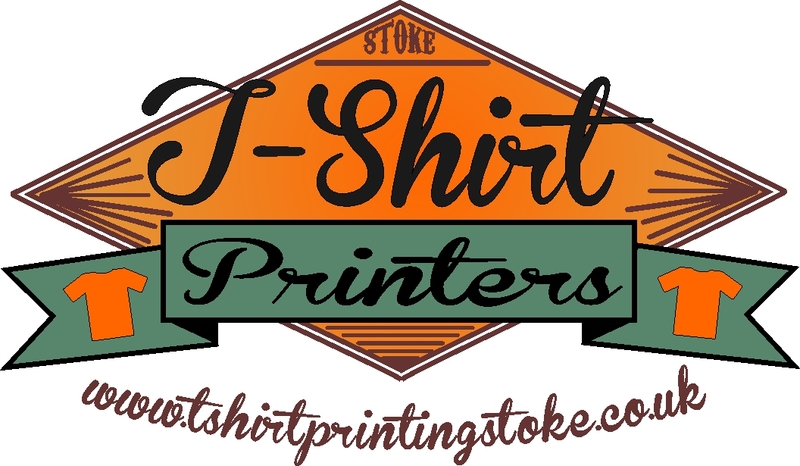 This can be a simple single colour print or a full colour design. 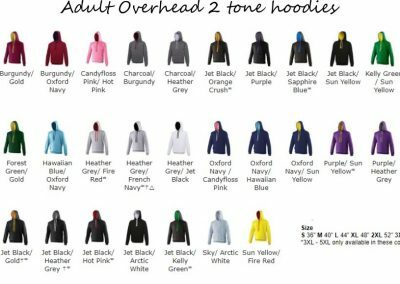 All of our leavers hoodies can feature embroidered individual personalisation, this can be a name, nickname or anything else that is required. 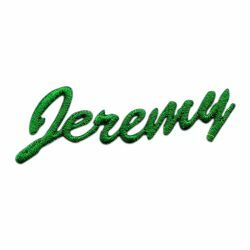 We have a selection of fonts for you to choose from. 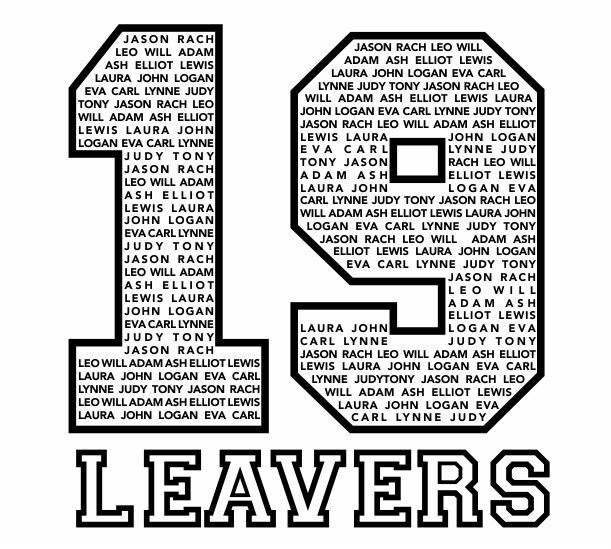 All of our leavers hoodies can feature printed individual personalisation, this can be a printed name, nickname or anything else that is required. We have a selection of fonts for you to choose from.